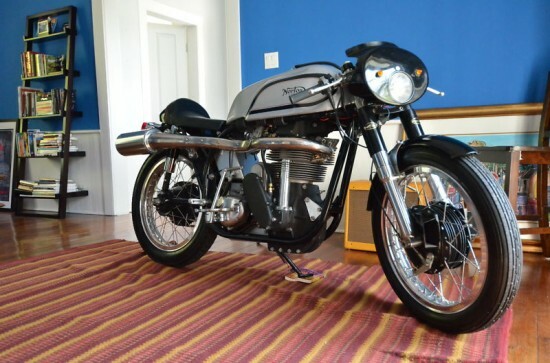 The seller of this Manx has re-listed this great classic built for speed. It is a great example of what can be done today with classic parts vendors. There was a time when you could send a self addressed stamped envelope off with your US Postal carrier, and 3-6 weeks later a mail order cataloged would show up in your mail box. If you were a motorcycle enthusiast, and a racer, names like Dusnstall, and Dresda may have been the catalog you ordered. 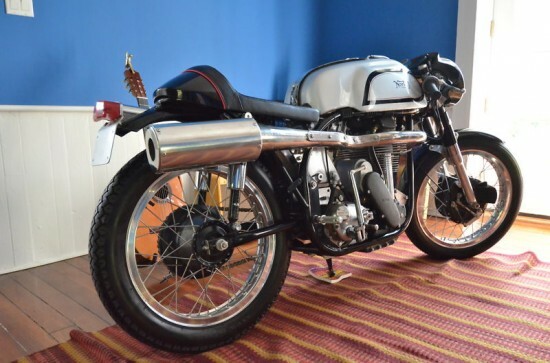 You would look at all the shiny bits and wish and hope that someday you could have 1st the bike that they specialized in, and 2nd some of the nice bits offered for sale. 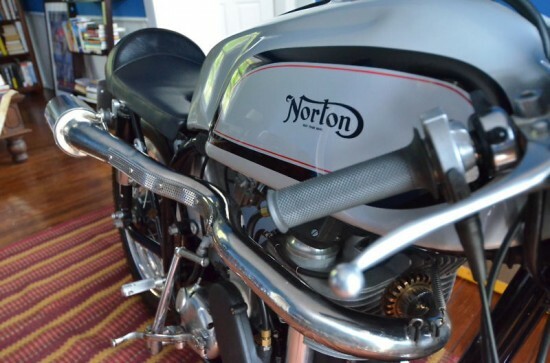 Today, all we have is the internet, and the seller of this 1962 Norton Manxmust have known this web page. Its hard to say which part of this motorcycle might be from 1962. 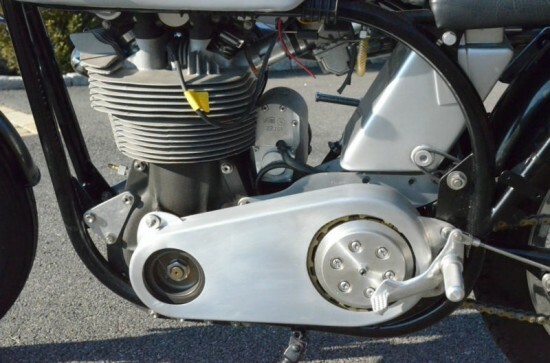 The seller points out all the big parts and says that they are new replica (frame), Molnar 500cc engine, Molnar front and rear hubs, Molnar exhaust. What is original, and what numbers are they going to use to get a title for 1962. By no means is this a criticism, I am happy that there is someone out there making new vintage bits and pieces. I really like the whole package, just wondering about the technicalities’. Guys, I have received a lot of questions so thought I would post a few more pictures and clarify some points: Wheels: Both Front and rear wheels where built by Andy Molnar using his replica hubs. The front is the 1962 version of the 7″ double sided hub. This hub is absolutely stunning. 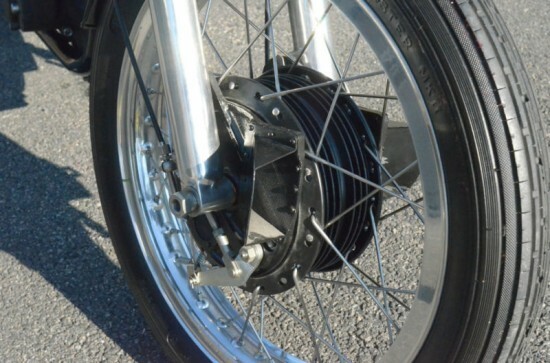 The rear is Andy’s standard read Manx conical hub with Magnesium backing plate. Engine: Andy Molnar 86mm standard spec 500cc motor with coil springs. Ignition Please note, I have fitted a new magdyno that runs the motor and also charges the battery. The unit works flawlessly. As mentioned, I have the Molnar Race Magneto available and will do a deal with you if you want it. The 4 cell battery is loosely mounted at this point under the seat and could use a more sturdy strap than the one I am currently using. Exhaust: Absolutely stunning one piece high level stainless steel exhaust made by Andy Molnar. This item is worth $1500 on its own and is truly an amazing piece. I do have a low level exhaust available too. Seat: The bike will come with two seats. The one mounted is the newer version of Andy Molnars racing seat with the fiberglass bump. The second seat has the rear bump covered per the usual models. Keep the questions coming and thanks for the interest.